Ok, so recently I have been working on MelissaJane's FIRST birthday party and let me just say that Esty is a dangerous place! Can you believe that it's already time! But, for those in love with all things cute and special the internet is definitely a great resource! I got a new planner for myself so that I can keep up with my life of 4 kids, teaching, getting my PhD, writing a book and a blog and then...everyday life...whatever that is. 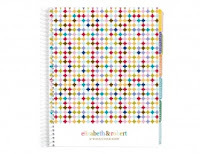 The planner has my name (not elizabeth and robert) on it and is cute as all get out! I found it on ErinCondren.com. 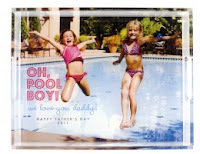 She has lots of cuteness, including LUCITE TRAYS! I really want to get the teacher planner for next year! It has blank pages to make it easier and is laid out really well! Now, on to the birthday party things! I wanted really cute custom invitations that no one else would have, but that were bright and colorful for my sweet little bird. So, I searched on Etsy and had not really found exactly what I wanted... Then, my dear friend Kathryn sent me a message and Just Lovelee Designs had the perfect thing! I'm not going to spill the beans, but let me just say they are FAB! I really love things that are handmade. Have I mentioned that? I also really love when they are unique and even if the designer uses the fabrics or papers again, they still don't do exactly the same thing.... Well, Hoopdaloop on Etsy is FANTASTIC! And even better, I know the shop owner! A friend sent me a link to this shop for a different party, and then when I was at a Youth in Government Conference in Nashville this past weekend, I realized that I know the shop owner! How fabulous is that. So, once I nail down the exact colors and shapes, we will have a super sweet birthday banner/garland for our decorations! I will also make (or find) some table top and yard signs that coordinate to direct guests to the activities and probably one for the front door to direct friends to come around back to the party. I don't like balloons, so we probably won't have any. Right now, I am hoping that it will be cool enough outside that we can make fruit loop necklaces, play in the sprinkler and have a low key outdoor party. Especially since I will be just about 39 weeks! But, if the weather doesn't cooperate then we will have to make some changes. We will be inviting family and friends and hopefully having a wonderful day! Since we are doing an afternoon, outdoor party we probably won't have a meal with our party... Generally, I like to have finger food at parties, so I'll have little cups filled with animal crackers, apple slices, goldfish and carrots and everyone can get what they want. I have some cute baking cups that I ordered on zulily for the party to put the finger food in. (I can't seem to get the pictures to post, but I will share lots of pictures from the party!) I love iced tea and lemonade, so we'll probably have both. At this point, I have not decided if we will do favors. I am thinking if we only a have a few friends that we might make handprint tshirts. I'll have a few printed by Zoey's Attic to go with the decorations and theme and then we'll make shirts at the party with the kids' handprints. They can dry in the sun while we play in the sprinklers and on the playground. Hopefully, if you are planning a party, this will give you an idea of things that you might want to include on your check list. If you would like more help or ideas, feel free to comment or email me.